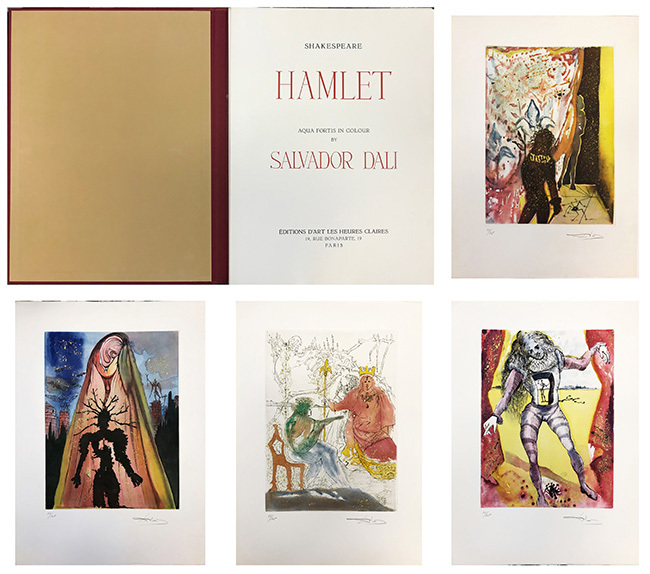 Description: This rare 10 piece series from 1973 is Dali's interpretation of Shakespeare's drama Hamlet. Dali paid homage to Shakespeare in several other works but this suite is considered to be his most impressive. Each print is hand signed and numbered by the artist. The sheet size for each print is 22.13 x 15.87 inches. The image size for each print is 15.04 x 11.22 inches. Artwork is in excellent condition. Certificate of Authenticity included. Each print is authenticated on verso by Albert Fields.